Centropyge heraldi Woods & Schultz 1953, Herald's or the False Lemonpeel Angel. 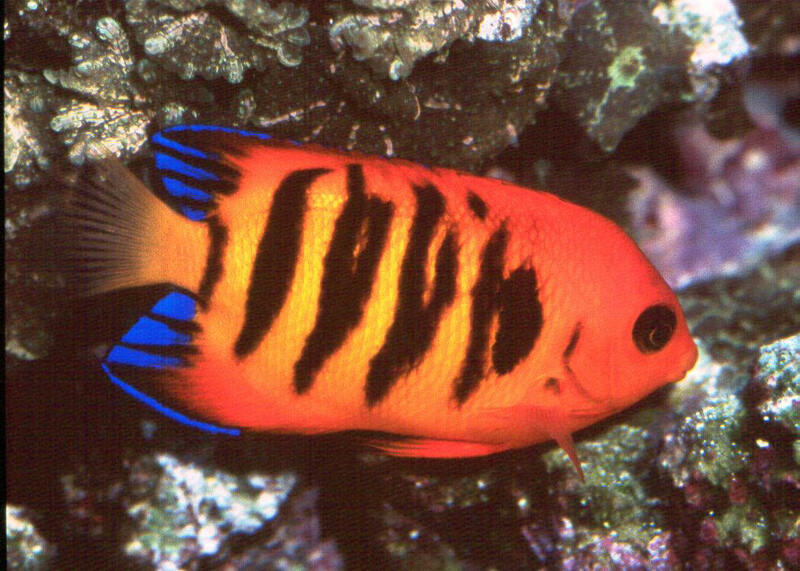 Centropyge loricula (Gunter 1874), the Flame Angel (1), is a staple in the ornamental marine trade, with some 5,000 individuals collected and sold worldwide every week. Western to central Pacific Ocean. 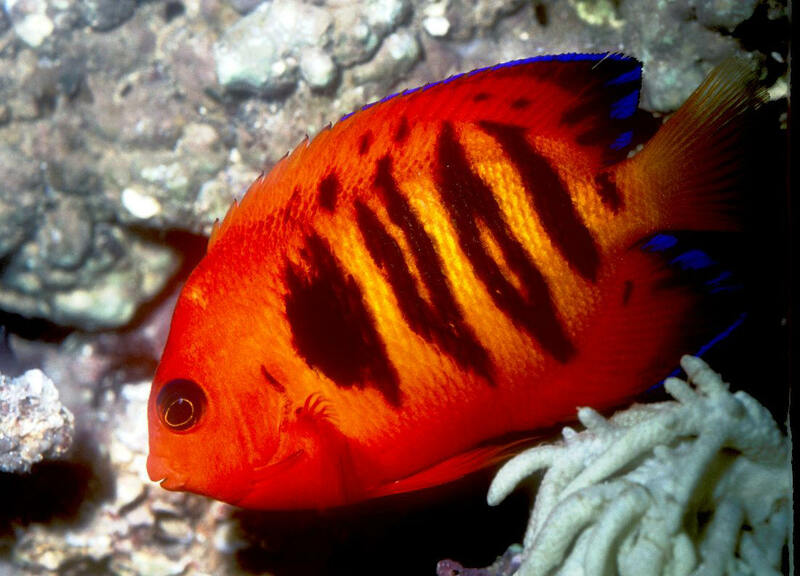 Nuka Hiva, Marquesas pic. 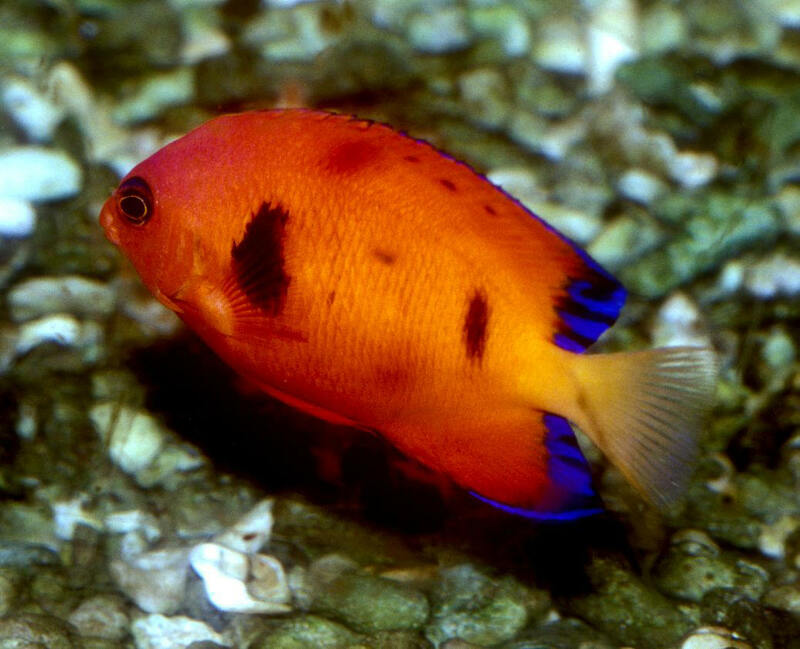 Centropyge loricula (Gunter 1874), the Flame Angel (1), is a staple in the ornamental marine trade, with some 5,000 individuals collected and sold worldwide every week. Western to central Pacific Ocean. Aq. photo.